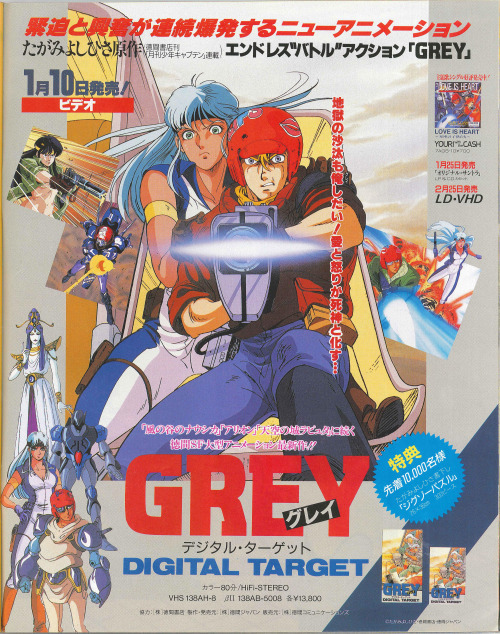 Grey: Digital Target, directed by Satoshi Dezaki. 75 minutes. December 13, 1986. 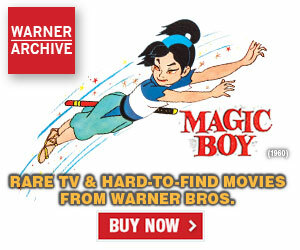 The manga and anime both got high critical praise for being very intelligent. 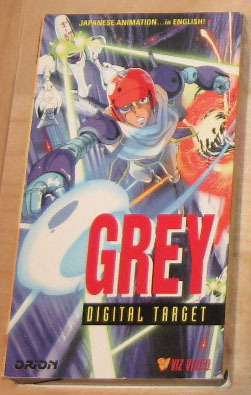 But by the time the American anime industry developed, Grey: Digital Target had become passé. As we found out at Streamline Pictures with Akira when our license expired and we investigated renewing it, it doesn’t matter how famous or how high-quality a movie is; the public only wants to see the latest “hot” titles. The world in A.D. 2588 looks reduced to endless desert and ruins. A lone figure trudges through the sand dunes. Two observers, Red and Cricket in their Walker, identify the figure as Grey. It looks like he is the only survivor of his squad. Title and Approach 1. Town 303. Grey comes home, goes into his apartment in a slum area of Town 303, and collapses onto his bed. Squad 16422 – Hawk, Nova, Sky, Leo, Tures, and Tim – are awaiting reinforcements. Komon Ropé, a bald “half” cyborg, says that Grey is confirmed as their only replacement. 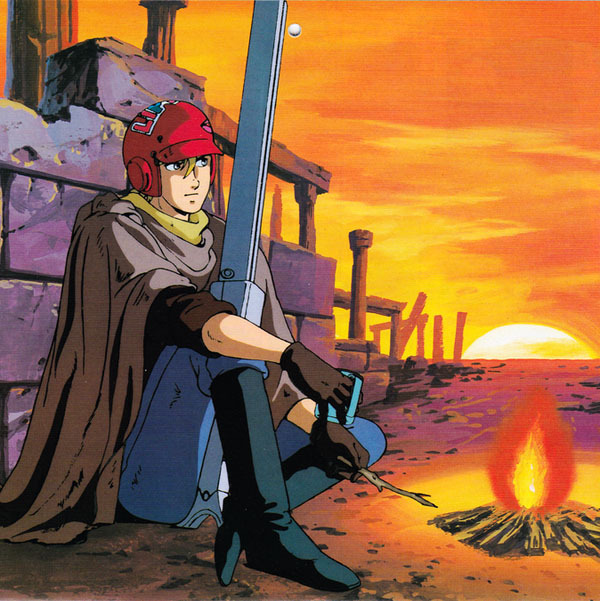 The others comment that Grey is known as “Grey Death”; that he has advanced to a Class C trooper in record time; and that in 14 Fights, he was the only survivor in 10 of them. They are assigned to fight in Area 807, in Western America, beginning in 12 hours and ending in 720 hours. Flashbacks show that Grey’s lover, Lips, has been killed, and he is wearing her helmet. In Town 303’s Factory, Red tries to persuade Grey to become an Inspector. It’s a safer job, just dropping off Troopers in a Demilitarized Zone and waiting for them to come back. Grey demurs. 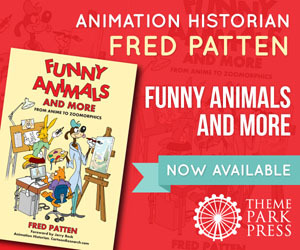 Okay, here is some background from what follows. The world of 2588 has been reduced to a wasteland with a series of small numbered Towns. The world is controlled by a super-computer, Big Mama. Each Town has a Little Mama and a Factory that manufactures its weapons. Big Mama organizes the Fights between Towns. 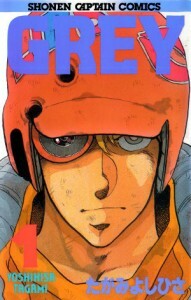 The inhabitants of each Town are squalid People, but they can volunteer to become Troopers and enter in the Fights between the Towns organized by Big Mama and its cyborg “halfs” like Komon Ropé. Troopers begin as Class Fs and earn 50 credits per Fight plus 30 credits for each kill, advancing up a Class for every 1000 credits; but only 0.3% survive to become Class As and Citizens, to live in the Capital. Those who become Inspectors like Red don’t have to worry about Fighting, but they have to serve for at least five years. Most Troopers want to become Citizens before that. 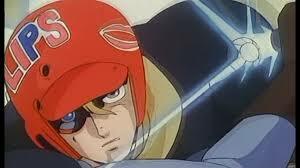 Besides the human Troopers, there are also “dolls”; cyborgs and robots. Squad 16422 goes to its assigned Fight in Area 807 in western America. Everyone seems to be a daredevil except Grey; he just wants to stay alive. They are all killed except Grey, Leo, and Nova, and all of their equipment is destroyed. The three still have 210 hours to the end of their Fight, and they have to travel 1000 klicks to reach their DMZ and get picked up. That’s about 100 klicks a day. Leo is killed in a fight against the enemy’s three tanks. Grey and Nova win, but they encounter a group of Scavengers; ex-Troopers in the Resistance outside of the Fights, not under the control of the Little Mamas. They return to Town 303 in the remaining enemy tank. When Grey and Nova report back, they are credited for their kills. They feel they are being undercredited, but their Komon Ropé says several of the kills had only been dolls, androids, not worth as much as a live Trooper. Grey has advanced to Class B and Nova to Class E. During their Interval between Fights, Grey and Nova relax in Nova’s luxury apartment. Grey wonders why some Towns have superior equipment when each has a Little Mama and a Factory; the Towns should all have equal weapons. It becomes clear that Nova and most Troopers except Grey live in a “Trooper lifestyle”, spending their credits on luxuries, which is why they do not advance toward Citizenship sooner. Nova has never met anyone who has become a Class A or a Citizen; she doesn’t even know where the Capital is. Grey is informed by radio that Red has been captured during his assignment to Africa despite being an Inspector, and their Little Mama is not sending any rescue for him. Grey goes to Red’s rescue without authorization, with Nova following. Grey and Nova break into Town 303’s Factory and steal a Bird (fighter aircraft). They destroy the Town Defense that comes after them. Grey marvels at their Bird’s beam cannon; he didn’t know that Town 303 had any weapons that powerful. He explains that Red used to be Lips’ CO, and he taught Grey all that he knows, which is why he feels obligated to Red. Nova worries that their status as Troopers will be revoked for their theft. They reach Africa and Area S-44 where Red went, but they are shot down by a beam cannon despite the Area being a DMZ. Grey and Nova leave the wreckage of their Bird on airbikes. Nova assumes that they were shot by the Resistance, and wonders how it got a beam cannon. Dialogue establishes that there are no animals left by 2588, and that the oceans have almost disappeared. They find the wreckage of Red’s Walker and Cricket’s body. A recorder confirms that they were attacked by the Resistance in tanks and with beam cannon. Grey and Nova follow a tracer in Red’s Inspector card to a Shinto shrine where a battle is going on. Okay again. Grey: Digital Target is less than half over at this point, and it’s just beginning to get complicated with Aum, Garbs, Guji, Krag shots, Brians, Gasps, Kubandas, and such stuff. I’ve already written enough to fill this week’s column, so I’ll let you watch the rest for yourselves. To summarize what this is all about, 500 years previously humanity developed Toy, a super-computer for human entertainment. Humanity then destroyed civilization through warfare, leaving Toy in charge. The computer “learned” through the warfare and its gaming programming to organize the remainder of humanity into Towns that it set to battle each other, with sub-computers to supply each of the Towns with weapons. People changed the names of Toy to Big Mama and its sub-computers to Little Mamas. Some people learned to escape Big Mama’s control, and the Resistance has grown up. Big Mama has “learned” to accept the Resistance as part of the Fighting, but when the Resistance grows too powerful, Big Mama turns on it. As Big Mama begins breaking down, some of the Little Mamas become less efficient than others, and whole Towns go silent. It all doesn’t matter, since life on Earth is becoming extinct anyway. Grey: Digital Target was produced by Magic Bus for distribution by Tokuma Japan. 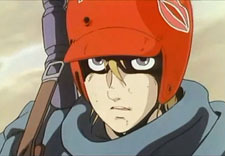 The American video was produced by Viz Media. Next week: Forgotten OAVs #52.